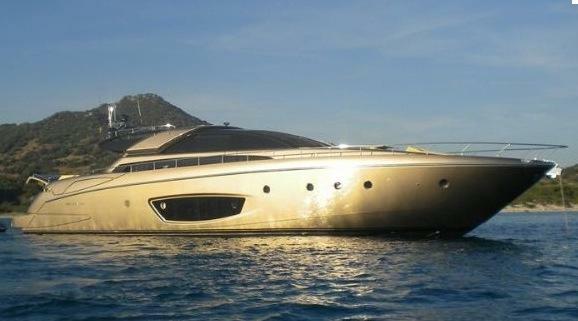 Riva, founded in 1842 by Pietro Riva, builds world-renowned, luxury fiberglass yachts. 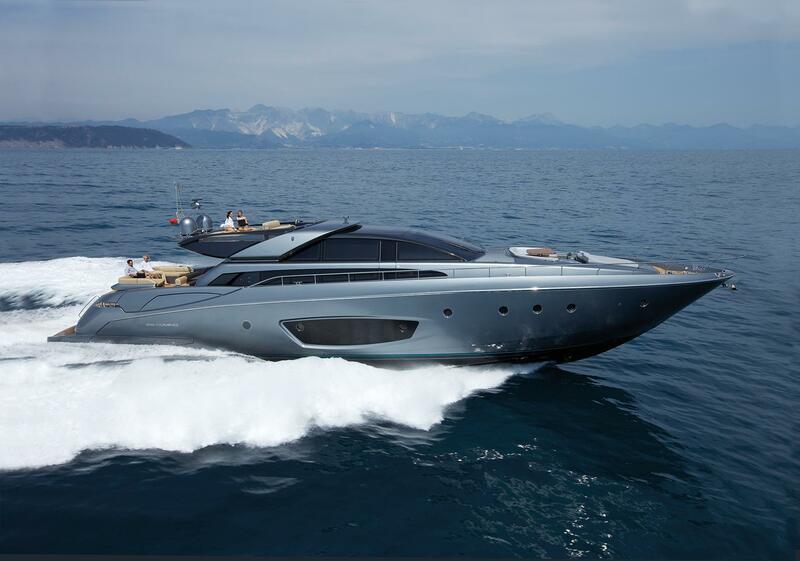 Joining the Ferretti Group in 2000, Riva shipyards are a legend in the boating world. Riva’s hallmark is craftsmanship, unmatchable quality, and innovative design. 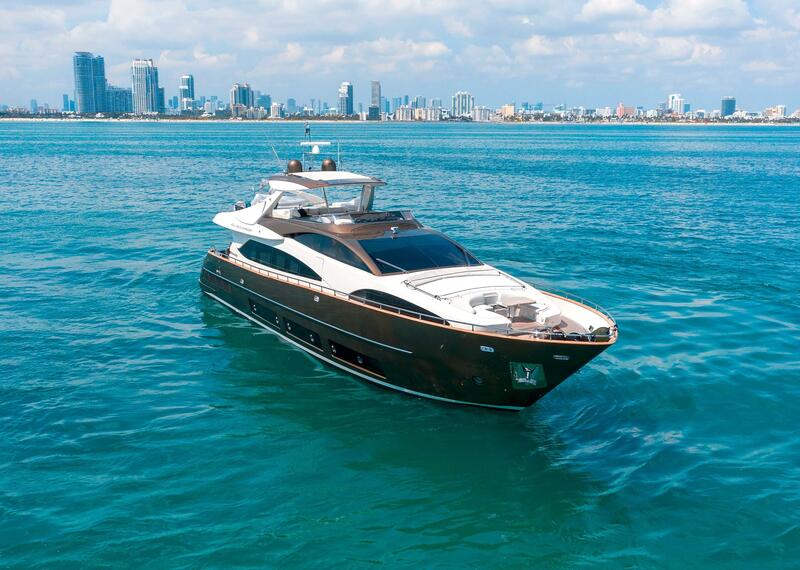 Riva yachts stand out for their Italian style and are built for boaters seeking performance and luxury. Worth Noting: The Last Aquarmara Special marked the end of Riva’s wooden runabout production in 1996. 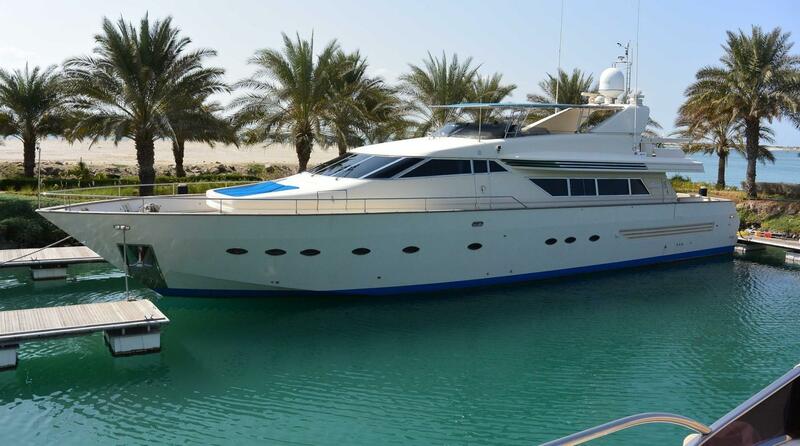 Riva 27 Iseo 2012 - Current 27' 0" 8' 2" 3' 1"
Riva 29 Aquarama Special 1971 - 1991 28' 10" 8' 6" 2' 9"
Riva 31 St. Tropez 1975 - 1987 31' 3" 9' 0" 2' 0"
Riva 33 Aquariva Super 2001 - Current 33' 0" 9' 2" 3' 1"
Riva 34 Portofino 1975 - 1979 34' 2" 10' 11" 3' 0"
Riva 34 Summertime 1977 - 1981 34' 3" 11' 3" 3' 1"
Riva Caribe 42 1980 - 1984 39' 10" 12' 8" 3' 11"
Riva 38 Bravo Special 1979 - 1988 40' 9" 12' 0" 3' 1"
Riva 41 1979 - 1989 41' 0" 12' 3" 5' 11"
Riva 44 Rivarama Super 2012 - Current 43' 11" 12' 8" 3' 4"
Riva Tropicana 43 1987 - 1998 44' 11" 13' 1" 4' 0"
Riva Diable 50 1984 - 1990 49' 10" 13' 9" 4' 3"
Riva 50 HP Superamerica 1986 - 1991 50' 1" 13' 8" 4' 2"
Riva 53 Rivale 2003 - Current 52' 10" 15' 1" 4' 7"
Riva 54 Aquarius 1995 - 1999 57' 1" 15' 7" 4' 3"
Riva Sportriva 56 2007 - Current 57' 7" 15' 2" 4' 7"
Riva 59 Mercurius 2002 - Current 61' 1" 15' 5" 3' 0"
Riva 60 Corsaro 1985 - 1989 61' 3" 17' 6" 5' 0"
Riva 60 Bahamas 1991 - 1999 61' 9" 16' 3" 4' 1"
Riva 63 Virtus 2012 - Current 64' 2" 15' 8" 5' 2"
Riva 63 Vertigo 2006 - Current 64' 2" 15' 8" 5' 2"
Riva 60 Corsaro 1987 - 1991 64' 7" 21' 7" 8' 5"
Riva 68 Ego Super 2007 - Current 68' 3" 17' 10" 6' 0"
Riva 70 Dolcevita 1997 - Current 70' 9" 17' 9" 5' 9"
Riva 72 Splendida 1999 - Current 71' 11" 17' 9" 5' 7"
Riva 75 Venere Super 2010 - Current 75' 5" 18' 9" 6' 1"
Riva Opera 80 Super 2000 - Current 83' 0" 20' 4" 6' 5"
Riva Opera 85 2003 - Current 85' 4" 20' 4" 6' 7"
Riva 86 Domino 2009 - Current 86' 7" 20' 4" 6' 0"
Riva 88 Domino Super 2012 - Current 87' 7" 20' 4" 5' 11"
Riva 88 Florida New 2012 - Current 88' 0" 20' 4" 5' 10"
Riva 92 Duchessa 2008 - Current 92' 7" 75' 5" 7' 6"
Riva 115 Athena 2008 - Current 115' 0" 23' 3" 6' 1"
Riva 122 Mythos 2012 - Current 123' 0" 24' 11" 7' 6"
Riva 50MT (160') 2012 - Current 160' 9" 29' 6" 8' 8"
Pietro Riva founded Riva Yachts in 1842 following a devastating storm in Sarnico, Italy that destroyed the boats of local fishermen. Riva’s legend began when Pietro began repairing the damaged boats. Pietro’s son, Ernesto Riva, succeeded his father and introduced internal combustion engines on Riva boats. Throughout the 1920’s and 1930’s, Riva’s production shifted from transportation to power boating. Its racing yachts set national and international records. During the 1950’s, Carlo Riva led the family company with a line of wooden yachts. 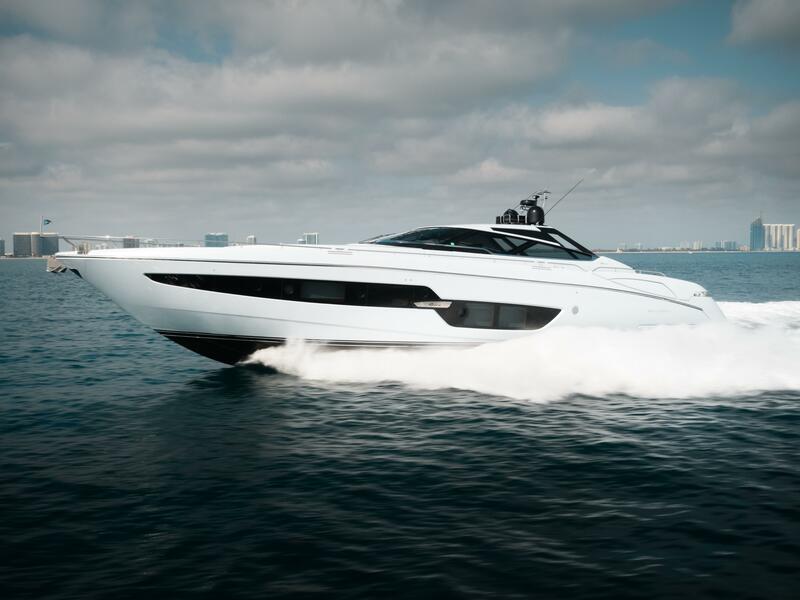 Riva Yachts became the object of desire among elite boaters. In 1956, Riva began working with designer and architect, Giorgio Barilani, which led to the creation of Aquarama, Riva’s legendary symbol of excellence. Riva’s luxury fiberglass yachts represent craftsmanship, unmatchable quality, and innovation. 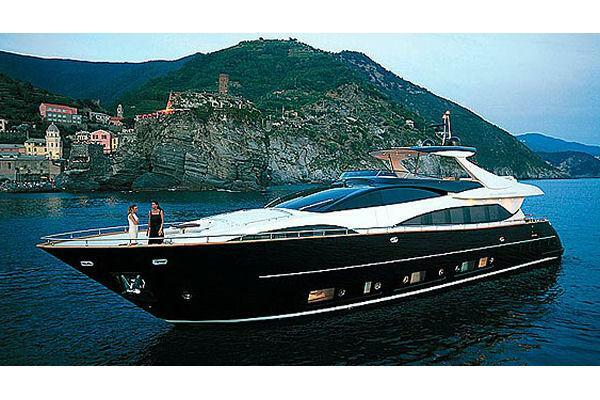 In 2000, the Ferretti Group took over the Riva Boatyard with the goal to relaunch the brand by focusing on quality, design, and uniqueness.